It’s time for us to gather another round of great feedback from our community! We have a lot of things planned for the second half of 2018, with new features, and especially improvements for existing ones, but we want you to tell us what you think should be given top priority! 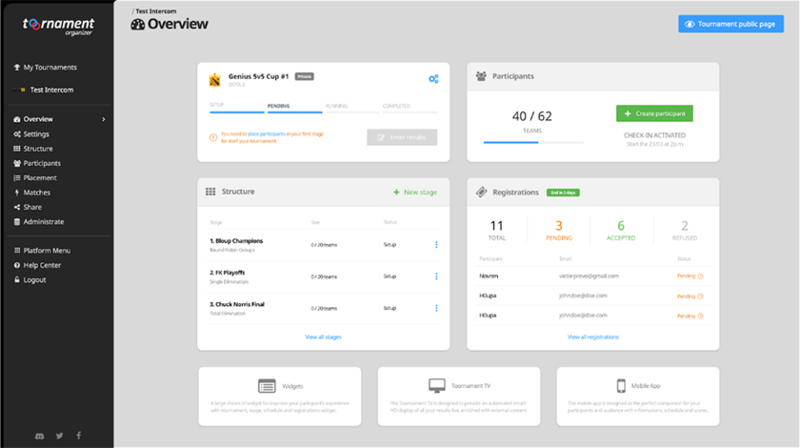 As of now, we are hard at work on adding some of the missing endpoints for the API and a revamp of the Organizer Dashboard general view to help organizers keep track of what is going on in their tournaments. But as for what comes next, that is where YOU come into play. Simply answer a short questionnaire about current and upcoming features to let us know your thoughts and feedback about them all! Next Next post: Open tournaments with high stakes this month!